File transfer protocol ( FTP ) is used to transfer files between client and server. It is commonly used by most of the companies to share data with the customers . Also it plays an important role in data automation. Now a days many softwares & application supports FTP protocol for data transfer. Here we will see about setup ftp server on ubuntu 16.04. This article explains about configuration steps for FTP, FTPS and SFTP. FTP is unsecure since it’s not encrypted. It is highly recommended to use FTPS or SFTP. Before starting, It is better to assign static IP to the server. Please make sure you have an internet connection since we need to install package and dependencies from internet. We are going to use VSFTPD package for FTP which is flexible and easy to manage. Step 1 » Update the repository and install vsftpd package using below commands. Step 2 » Copy the original configuration file for a backup. 2) Secure FTP ( FTPS ). Lets do a basic FTP configuration. Step 3 » Edit /etc/vsftpd.conf file and make the changes as below. chroot_local_user=YESAdd below lines at the end of the file. The first line is to keep all non-chroot users jailed. Other 2 lines are for the passive port range. Step 4 » Now restart vsftpd service and check the status. Feb 25 14:32:35 leela systemd: Started vsftpd FTP server. Status should be active and running.If the service is failed to start, Troubleshoot yourself by commenting the lines one by one and check the status after service restart. Step 5 » Now create an user to test FTP server. Use /usr/sbin/nologin shell to limit access. Step 6 » Add “/usr/sbin/nologin” to /etc/shells file to enable login access for the users who uses nologin shell. Test your FTP configuration. Try to connect from ftp client. 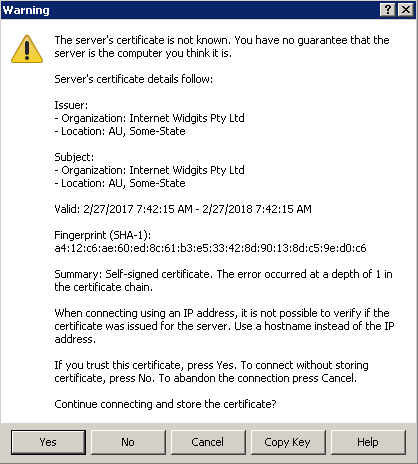 FTP connections can be secured by using SSL certificate. We can create self signed SSL certificate using openssl command. Step 7 » Create new SSL certificate using below command. Here we are going to create 2048 bit RSA certificate with 365 days validity. Step 8 » Now make changes in /etc/vsftpd.conf file to enable and configure SSL. Find and modify below lines as per our certificate location and enable SSL. Step 9 » Now restart vsftpd service and check the status. Step 10 » Try to connect FTP using with TLS/SSL explicit options. This option can be found in Winscp and filezilla tools. After successful login, You will be able to tranfer data with encrypted. SFTP uses different protocol, It is more secure than FTP since it uses ssh port for data transfer. Step 11 » Install OpenSSH package if it is not installed . Step 12 » Create a new group for SFTP users. Step 13 » Edit /etc/ssh/sshd_config file and comment the below line. #Subsystem sftp /usr/lib/openssh/sftp-serverand add these lines at the end of the file. Step 15 » Create an user with nologin shell and with group ftpacess. Perform below steps to chroot users to their home directories. Step 16 » Modify home directory permission. Step 17 » Create a directory “upload” inside home directory and modify ownership. This directory can be used to upload files to the server. Now you can connect server using sftp clients. Something generally accessibly and on a sub domain? Все работает, спасибо, я правда обычный авторизованный доступ настроил!